G3 has been making backcountry products since 1995 and has been giving splitters more attention over the last few years. 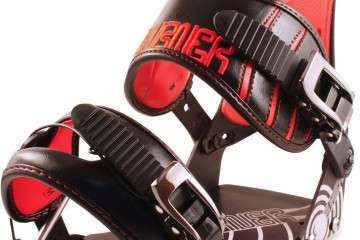 Their first split-specific product was the Alpinist Splitboard climbing skin which features their effective plush/glue combo and comes standard with tail connectors. Last season they released a High Traction version of the skin as well. 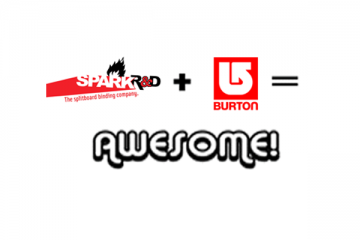 This season they’ve taken their ski building experience and applied it to splitboards to offer the Black Sheep splitboard! Check out the specs, product video, pictures, and rider quotes below. 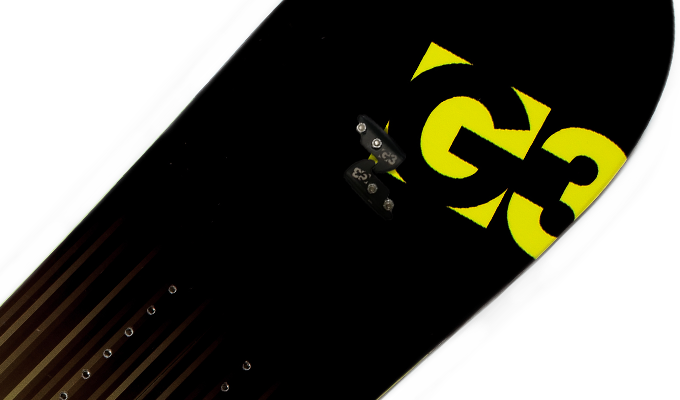 The Black Sheep marks G3’s debut in splitboard snowboards, rounding out G3’s line to include the full range of backcountry-touring equipment. A mid-wide, all-mountain backcountry board, the Black Sheep is designed for the backcountry snowboarder seeking out deep powder stashes and steep lines. Lightweight, performance and durability are achieved with G3’s CarbonLight construction, which combines carbon and glass fiber laminates, a Poplar/Paulownia hybrid wood core, with unique semi-cap construction. The Black Sheep Splitboard offers excellent floatation as well as solid edge hold due to an innovative, low-profile full reverse camber, inspired by G3’s award-winning freeride skis. Coming in on the heels of G3’s popular, category-leading splitboard climbing skins, the Black Sheep is helping G3 to push backcountry snowboarding to its fullest potential. Available in 158, 162, 168. (300/257/292; 7 lbs. 6 oz. in 158cm). $749.95 MAP. From arcing big mountain turns to billygoating new lines, this all-mountain splitboard is built to shred anything the backcountry can throw at it. Up or down. The lightweight CarbonLight construction gets you up with energy to burn. Burn it confidently, with a full reverse camber profile, unique Semi-Cap construction, and mid-wide deck under your feet. Slash those glory turns all you want, but don’t worry, when the going gets rough and technical, the Black Sheep puts on it’s game face. 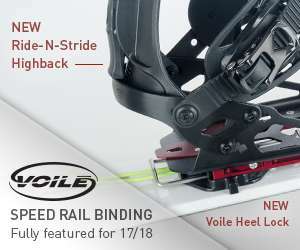 Splitboard.com friend and G3 Athlete Joey Vosburgh shared this with us about the Black Sheep splitboard. Forget the quiver, one board does it all. From deep pow to icy faces the Black Sheep holds it’s own. It’s a no gimmick board, just a raw powerful ride. With the flat camber under foot, good sidecut radius and it’s tip and tail rise it has the perfect qualities of an all mountain board. We had the opportunity to put some miles on the Black Sheep splitboard and found the board to provide a fun and consistent ride. While it may be the first year G3 has offered a splitboard, they’ve done their homework and created a great board. Rumor has it there may be a carbon version in the works for 2014/15! Updated: Yep, looks like the Black Sheep will come in a Carbon and non-Carbon version next year. See the 2015 product thread in our forum for pics. Rooted deep in backcountry ski culture, G3’s mission has always been to improve your winter backcountry experience. G3 is one of the few remaining and truly authentic, independent winter backcountry brands. Born in 1995 from a desire to build better avalanche probes for professionals who demanded it, G3 emerged from a garage in North Vancouver, BC, Canada. We’ve outgrown the garage, but our commitment to solving problems for backcountry users is stronger than ever. As developers, designers, artists and skiers (and riders), G3 engineers are passionate and focused on pushing the boundaries of how we approach any new product design and development. Unlike the market-share driven brands jumping on the ‘backcountry bandwagon’, G3 is genuinely committed to bettering backcountry safety and enjoyment. Having held our gear to a higher standard since day one, every G3 product has been pushed to the limits by backcountry professionals using and abusing our gear daily. Thorough quality checks ensure each and every piece of gear meets our higher standard, ready to perform when you need it most. Our engineers won’t settle for gear that’s ‘just as good’ as the next guy. G3’s original Targa binding was revolutionary, changing the telemark industry with interchangeable pre-compressed spring cartridges. Never complacent, we enhanced our already industry leading Alpinist Climbing Skins with proprietary tip and tail connections systems unlike anything on the market.G3 continues to challenge the status quo, maintaining our independence for creativity and design to flourish. With a successful 18-year history, G3 remains 100% committed to making your backcountry experience better and safer, through problem-solving gear innovations.